Yep, it's just been approved for production. Mini could use something interesting in its lineup these days, and because overall reaction was extremely positive, the automaker has decided its Superleggera Concept will reach production. Supposedly it's more interesting, and we happen to agree. Although an official announcement hasn’t been made yet, Car Magazine is claiming that Superleggera production is a go. 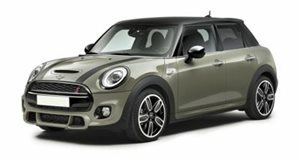 As a result, it’ll essentially replace the current Roadster, which is based off the previous generation Mini hardtop. The Superleggera concept made its initial debut last summer at the Villa d’Este Concours d’Elegance, and the positive reaction was immediate. So what can we expect to change from concept to production? Design wise, not much, hopefully. 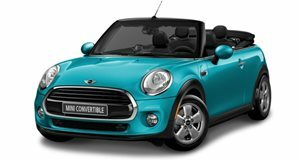 The two-seat, soft-top setup will obviously remain, but the plug-in technology will be ditched in favor of parent company BMW’s new front- and all-wheel drive architecture, which is also the basis for all current Minis. Engine options will likely be a range of three- and four-cylinder units along with a possible 2.0-liter turbo four with 189 hp that could power a Superleggera Cooper S. Expect to see the production Superleggera arrive in 2018.